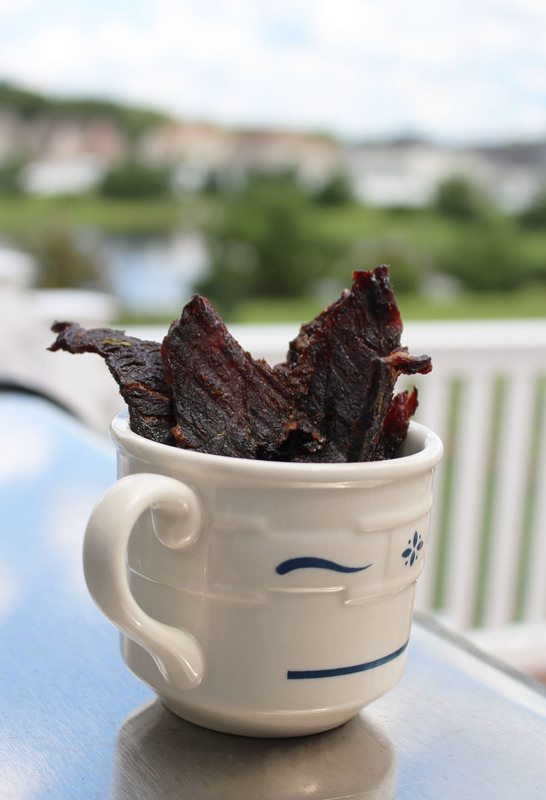 DH and I love jerky, and for me, most store bought ones are either too salty, or way too expensive. When we were out in Tucson, AZ back in November 2011, DH bought the best non-salty jerky we had ever tasted. 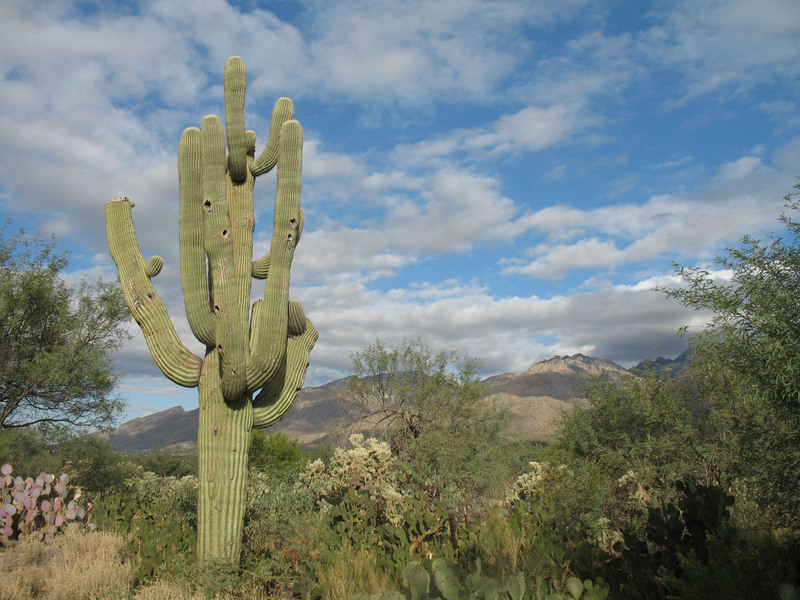 It was sold at a convenience store in a tiny town no more than a crossroads on the Western side of Saguaro National Park. The jerky sold there was sliced extremely thin and the slice of it was 12″x12″ if memory serves me. And the flavor he bought was a sweet teriyaki flavoring. Actually not something we expected to fine in the Southwest. DH does not like spicy foods so we were pleasantly surprised. Of course we have been trying to replicate the experience back home in NJ. And this recipe I came up with fits the requirements taste wise. 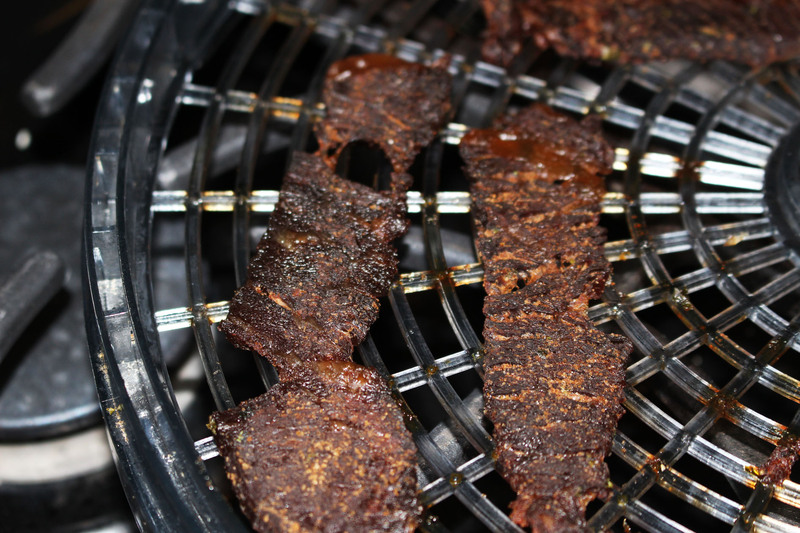 I have added an optional heat to it, for those who like their jerky to kick them back. Place meat into a container with a lid or a resealable bag. In a separate container add the first 7 ingredients together and the optional Tabasco Sauce and mix well. Pour marinade over meat and mix so everything is coated. 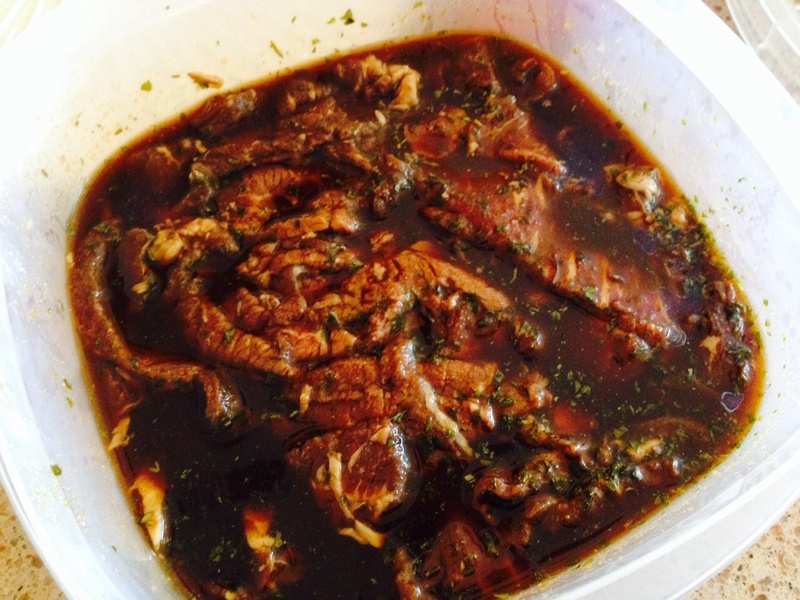 Marinate meat for 24 hours in the refrigerator, stirring and turning over meat in the marinade periodically. Spray trays with cooking spray to make it easier to remove the meat and faster clean-up. Dehydrate for 6-8 hours. Check it several times as one of my dehydrators dehydrates the food a lot faster then the other. Meat in dehydrator. ©2014 Deborah Kaplan.